2015 is just a few days in and I find myself wondering what it holds. What will God call me to next? Where will I travel, who will I meet, what will I experience? What exciting adventures await? What hard trials will I endure? As I contemplate all these things for the new year, I realize that while it’s fun and kind of exciting to daydream about the future and what’s in store, what’s more important in 2015 is who I have my eyes on. Will I choose to focus on myself, on my needs, on my wants, on my dreams and happiness as the Disney movies show? Will I pour my energy, my time, my resources, my heart into fulfilling what I want? Will I ignore the lady begging on the street corner, the victims of a natural disaster, or the girl my age who needs a listening ear? Or will I choose to lift my eyes off of myself and focus on my Savior? Will I seek Him through prayer and His Word, choosing the “narrow gate” (Matthew 7:13-14)? Will I look to Him for all my needs, trusting Him to fulfill them in His timing and in His way instead of rushing through on my own? Will I truly live out Matthew 6:19-21, that says "for where your treasure is, there your heart will be also" and put my treasure and heart in Christ Jesus? 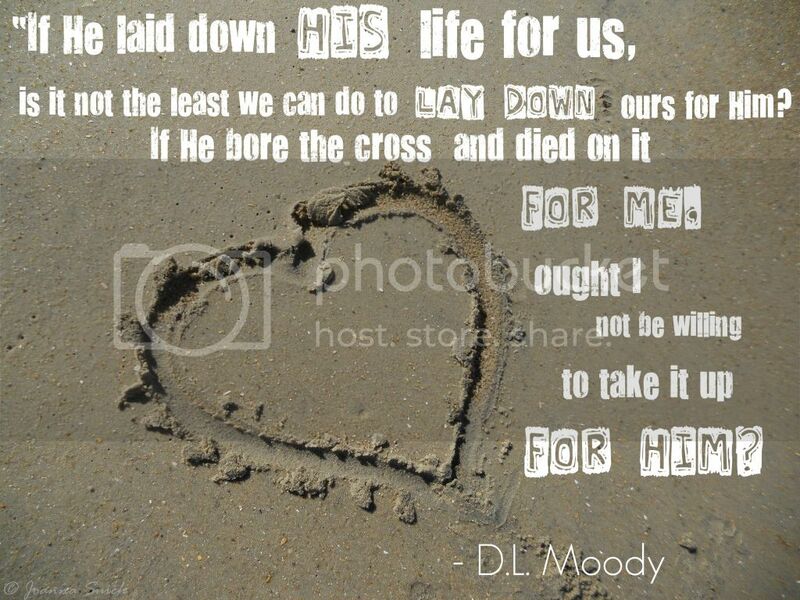 Will I pour out my life as an offering for the One who gave it all for me? The new year is here, and you and I have a choice to make. We can choose to focus on ourselves, which may bring temporary pleasure but never bring lasting fulfillment or we can choose to focus on our year around our Lord and Savior, Jesus Christ who is the only one who can bring lasting fulfillment. But more than that, He is the very Redeemer of our souls and has rescued us from our sin and shame. He has redeemed us and wiped us clean from the griminess of our "old self" (Romans 6). He is to be our very life! Dear sister, are you willing to do just that in 2015?